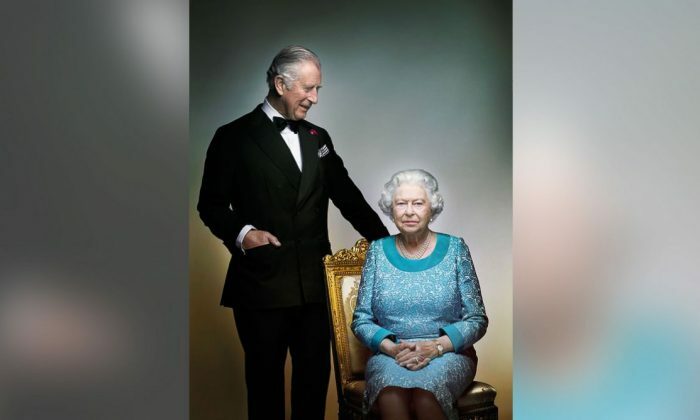 Queen Elizabeth II and Prince Charles, her son, are featured together in a new portrait. The new photograph of the Queen and Charles was released by the British Monarchy on Saturday. It was taken for her 90th birthday in earlier this year and wasn’t released until now. The photo, taken by photographer Nick Knight, shows the monarch sitting on a gold chair wearing a blue dress. Charles, 68, in a tuxedo, is seen looking at his mother.